Navigating the concrete walkways of the industrial park wasn’t easy. Bangladeshi welders worked tirelessly as lorries occasionally bustled through the wide roads within the compound. In my regular tee shirt and jeans, I stood out among the throngs of workers, who were dressed in overalls and safety shoes. I briefly wondered whether they bought their gear from Eezee. Continuing ahead, I took the stairs to the second floor, in search of the elusive warehouse. I was here in a deserted area of Bedok, where Sin Yuan Asia was tucked away. 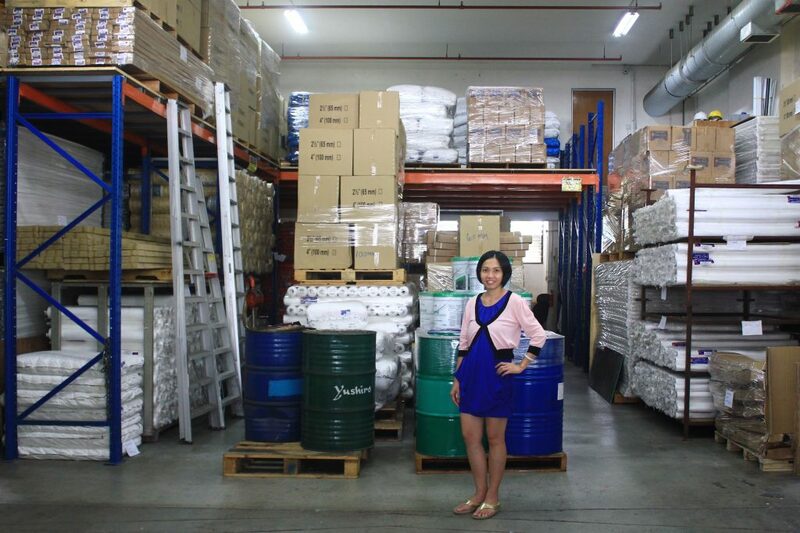 Since its inception, the company has been supplying building and construction materials to local projects. 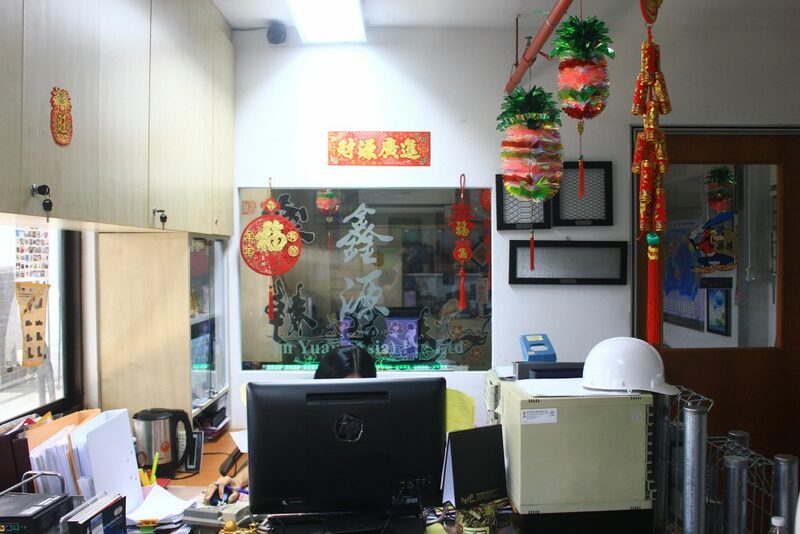 In its 11 year history, it has remained true to its roots, maintaining its operations in its humble office/warehouse here. It’s company vision has been and continues to be anticipating customer needs and building long lasting relationships with them. 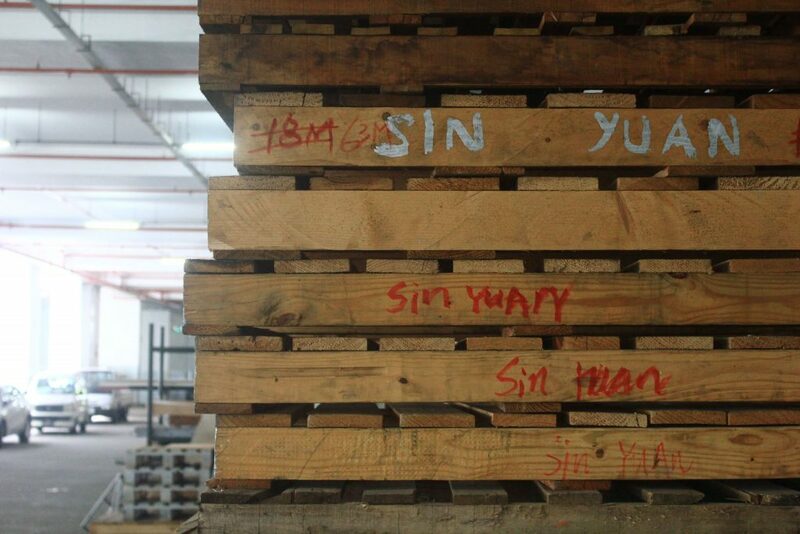 P: How long have you been working at Sin Yuan Asia? J: I’ve been here for 9 years now. It was my first job and I’ve been here ever since. P: So what do you do at the company? J: I handle all marketing issues: Customers looking for certain items, general customer inquiries, clarifications about products. P: Why did you decide to go into this industry? J: I didn’t really choose the industry, I sorta just fell into the job. [laughs] When I was job hunting after university, it was during the recession in 2009. Job hunting was considered…..fairly difficult. Prior to that I was studying in university, so this was my first job and I’ve been here ever since. P: So have you noticed any changes to the industry in the 9 years you’ve been in the industry? J: I think mostly it has to do with the economy. Right now the economy isn’t doing very well, so the market follows. When I first joined, the company just started. During the first few years of my employment, business kept improving. 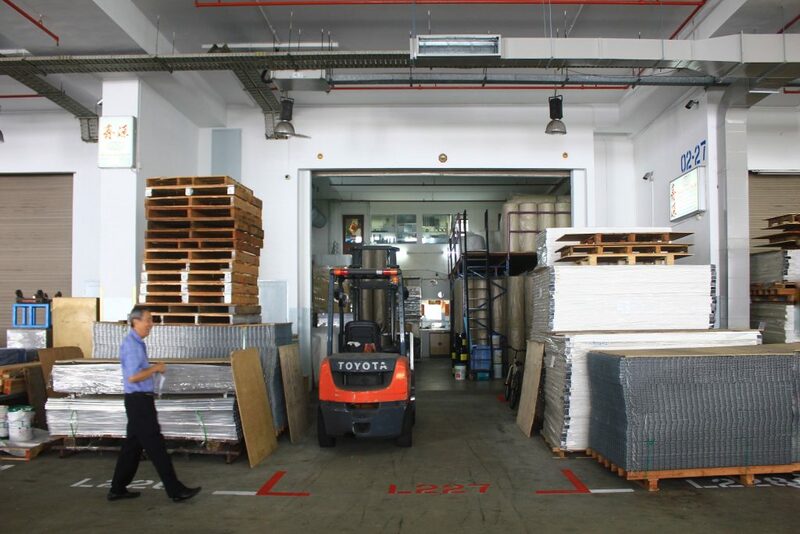 The number of projects in Singapore was high and demand for construction materials was peaking. The government was pushing to build more houses. Nowadays it’s slowed a lot, not as much as before. Also, it’s much harder to collect payment from customers now compared to before. [laughs] Probably due to the worsening economy too. Finally, there’s more and more competitors in the industry too! A lot of people from the younger generation are setting up businesses because they feel that the industry is good. Everyone wants to be a boss and entrepreneur nowadays. Maybe they joined when the market was doing well, but now it’s a little tougher. P: What would you say to a younger person who’s looking to enter the hardware industry? J: Right now the market is quite saturated, but you should find a niche product. For example, when we sold joint compounds (wall putty), we only bought a small amount. Now, having noticed that it sells better, we’re bringing in a lot more. It’s important to know what your customers want. Hardware is actually quite a broad term, different people want different things. If you’re only selling one product, its difficult. You need a lot of products because people like ‘one-stop’ solutions. Also, its important to monitor the market and follow where it goes. It’s definitely still possible! P: What do you think the hardware industry should improve on moving forward into the future? J: Like I mentioned, we need to listen and understand what the customer wants, then try our best to meet that demand. In the past, we used to sell only what we have on hand. If customers requested for a different item, we would just tell them that we do not stock the item. Nowadays, if customers ask for something we don’t have, we make it a point to try to procure that item. P: Is joining Eezee part of your plan to modernise as well? J: We see it as a big opportunity for both sides. We realised that it was a very harmonious and natural partnership to reach more of our customers. We’re currently in the age of technology, so there will be a lot more people fulfilling their hardware needs online. One point that we’re trying to solve is the need to deliver quickly. For an online marketplace, people expect the goods to come by fast, and that’s not always possible for construction and building materials. Right now with the increased use of the internet, its natural that we’re catering to our customers on that platform. At the end of the day, having good customer service is the most important: It decides whether you retain loyal customers or fail as a business. When customers come back to us, we know its because they’re satisfied with the level of service they received. So, coming back to our plans to modernise, we’re always looking for ways to improve the customer experience. As I left the industrial park, I couldn’t help but wonder whether the hardware and construction industry was in a bad a state as Jessica proclaimed. While the last couple of years might have been tougher on construction and hardware companies, I think the industry’s outlook is still rather positive as the public sector is set to bolster up to 60% of the demand this year. The government has realised this issue and is taking steps to mediate, such as parceling large projects to award to smaller local companies in order to support them. Furthermore, with the government’s new direction to help businesses digitalise in the Singapore Budget 2018, I’m quite hopeful of Singapore’s economic outlook in the new few years. Coupled with the collective sale boom in the past year, one can be hopeful that the industry will take take off and transform into a more efficient and effective one. 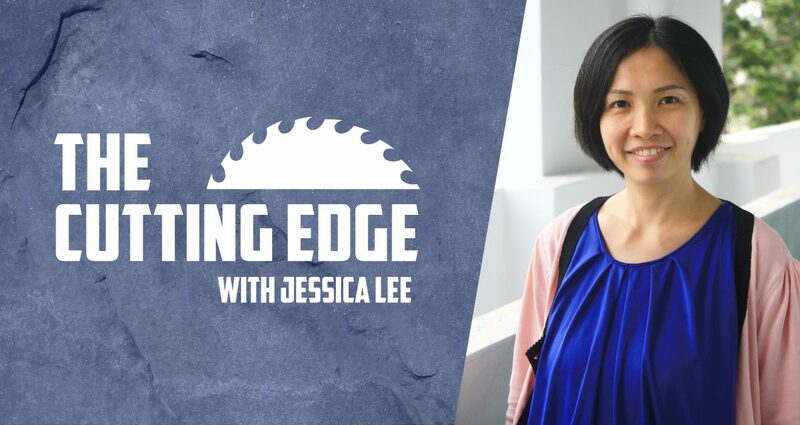 From this interview, I learnt an important lesson from Jessica, the basic premise for every successful business is the perennial pursuit for the best customer experience possible. Even with digitalisation, I do not think there is a better way to replace that personal or human element of listening to, understanding and helping your customer’s with their needs. Happy National Day folks! 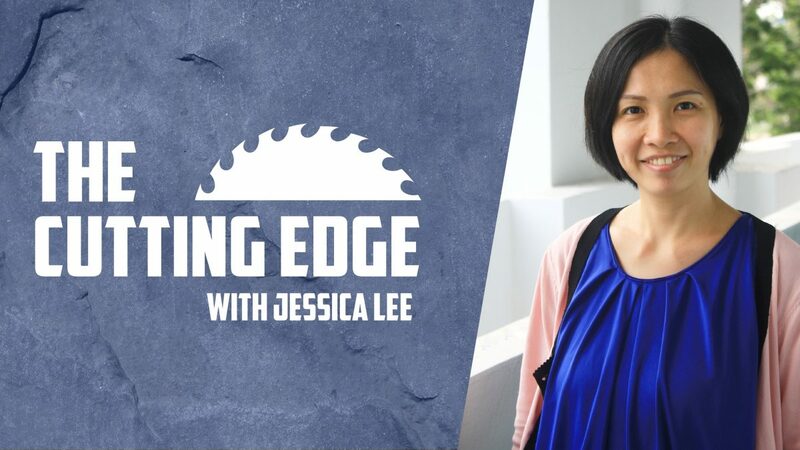 This concludes another chapter of Eezee’s Cutting Edge series covering everyday heroes contributing to growth of Singapore’s hardware and construction industry. 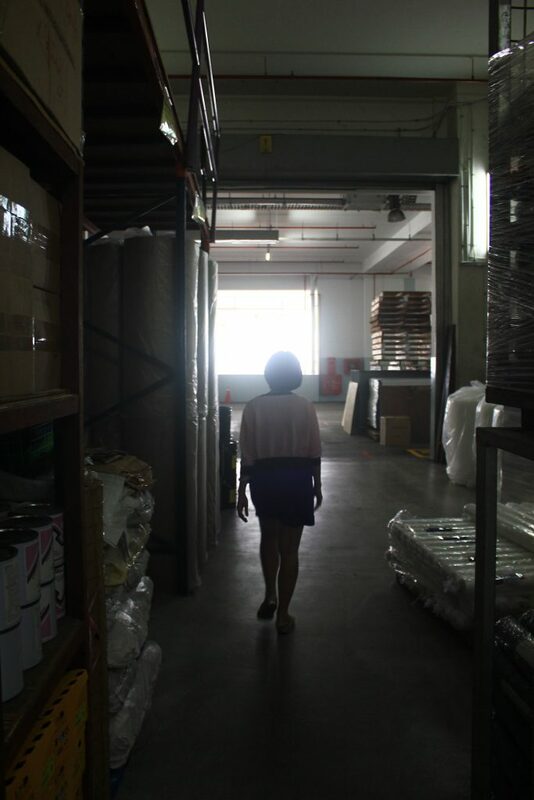 If you would like to read more about this series, check out our previous interview with Horme’s Steven Yeo — his thoughts on the Singaporean hardware industry and stories of his early days as a hardware retail assistant. Squash the Wastage in Your Procurement (And Everywhere Else)!